JPMorgan Publishes The "Bitcoin Bible"
Five months after Jamie Dimon's infamous outburst, in which the JPM CEO called Bitcoin a fraud, and threatened any JPMorgan trader caught trading cryptocurrencies with immediate termination "for being stupid", which was followed by JPM's head quant alleging bitcoin was a pyramid scheme, the largest US bank has released what can only be called the "Bitcoin Bible": 71 pages of excruciating detail on everything from the technology of cryptocurrencies, to their applications and challenges. 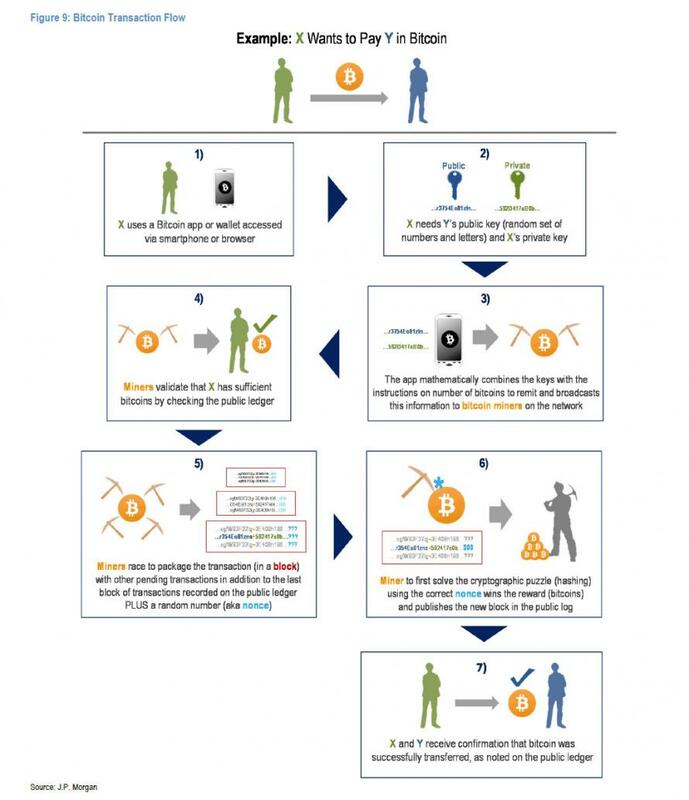 While there is too much in the report - which was published on the same day that the NY Fed admitted that in "A Dystopian World, Bitcoin Would Dominate Payment Methods" which of course is the whole point behind cryptos which as a contingency plan to the collapse of fiat currencies - to be summarized in one post, and instead we will focus on the key points over the next few days, below we republish the Executive Summary from the report, highlighting the key sections. 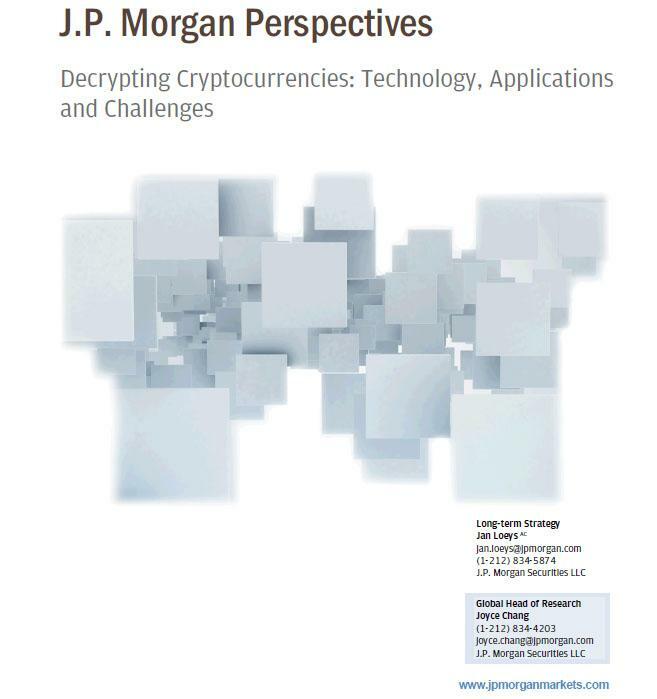 J.P. Morgan researchers from across a wide range of expertise analyze various aspects of Cryptocurrency (CC) to gain insight on this market and its potential evolution in this report. CCs’ extremely rapid growth, and then fall, both in terms of number of CCs and prices and their challenge to the current financial infrastructure, are forcing all market participants to closely monitor and understand this new market. Cryptocurrencies are virtual currencies that are created, stored and governed electronically by an open, decentralized, cryptography system. CCs can be used to exchange money, to buy certain goods/services or as an investment. 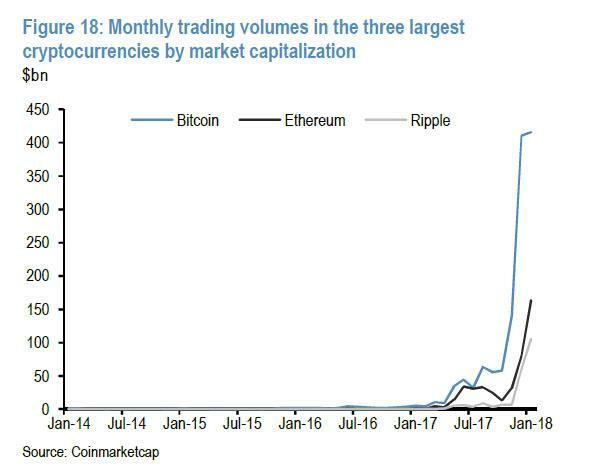 There are over 1,500 cryptocurrencies with a market cap of some $400bn as of February 8, 2018, with Bitcoin being the largest representing a third of the market according to CoinMarketCap. Launched in early 2009, Bitcoin (BTC) is the dominant cryptocurrency with a market cap of $140 billion (representing one-third of the CC market) and nearly 17 million BTC units in circulation (capped at 21 million). Bitcoin was the first major cryptocurrency and has spawned many competing CCs and technologies, many of which still fall back to Bitcoin as a support currency. Bitcoin itself has split into two cryptocurrencies, Bitcoin and Bitcoin Cash, to improve liquidity. Cryptocurrencies are the face of the innovative maelstrom around the Blockchain technology that is bringing both massive price volatility and a constant trial-and-error of new product try-outs and failures. CCs are unlikely to disappear completely and could easily survive in varying forms and shapes among players who desire greater decentralization, peer-to-peer networks and anonymity, even as the latter is under threat. The underlying technology for CCs could have the greatest application in areas where current payments systems are slow, such as across borders, as payment, reward tokens or funding systems for other Blockchain innovations and the Internet of Things, as well as parts of the underground economy. There are over 1,500 CCs with a market cap of $400bn. Transactions in the three largest CCs average $550bn per month and come mostly from individuals. Ownership is highly concentrated. 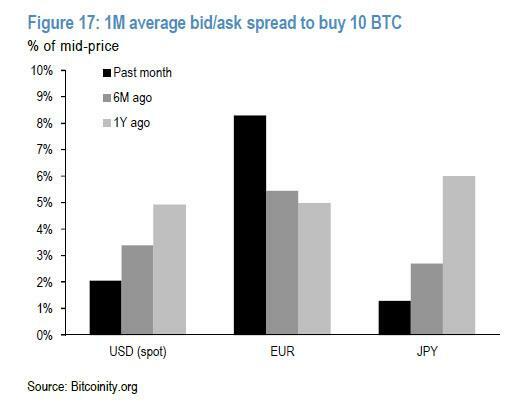 The opportunity set around direct CC trading appears relatively limited for banks, while the two Bitcoin futures recently launched are seeing only $140mn in daily trading. Blockchain saw its first expression through Bitcoin – the first CC – but is more likely to ultimately see its greatest application outside of CCs across other financial and non-financial transactions, even as Blockchain itself looks set to evolve fast as the market learns about what works best. There is the potential for increased usage of Blockchain in cross-border payments, settlement/clearing/collateral management as well as the broader world of TMT, Transportation and Healthcare but only where any cost efficiencies offset regulatory, technical and security hurdles. Hedge funds have been moving into this market making up most of the 175 CC funds but AUM remains only a few billion dollars. 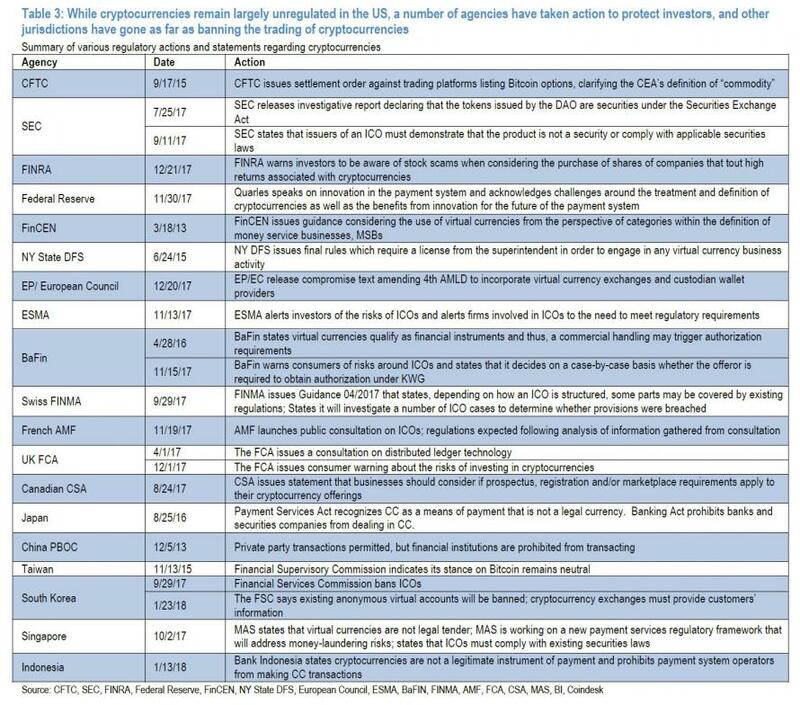 Asset managers are experiencing limited success in bringing products to market and have not been able to launch CC funds or ETFs without support from the SEC or major distributors. While about half of the early CC transactions happened in the underground economy, the share of this is declining, with investing and speculation now taking a much larger share. It will be extremely hard for CCs to displace and compete with government-issued currencies, as dollars to euros and yuan are virtual natural monopolies in their regions and will not easily give up their seigniorage profits. CCs are experiencing heightened volatility and will face challenges from both technology (such as rising mining costs and hacking) and regulators who are concerned about anti-money laundering and investor protection, as CC payments are irreversible and there is no recourse. Security concerns have mounted in Bitcoin exchanges as hackers have infiltrated a number of CC exchanges generating large losses, while regulators are challenging anonymity. 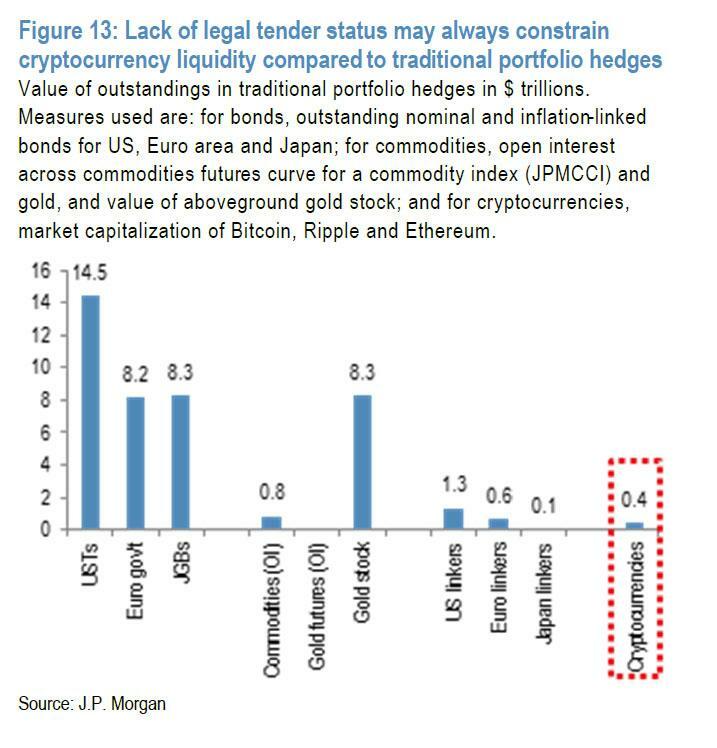 Below are some of the JPM team's observations on what the future could bring for cryptos, with highlights, however the most notable admission is JPM stating that cryptocurrencies "could potentially have a role in diversifying one’s global bond and equity portfolio", a far cry from Jamie Dimon's emotional appeal that all cryptos are a giant fraud. In the early stages of innovation, usually set off by new technology — in this case Blockchain — the market experiments with many different approaches to see what shape and form will stick and end up offering the most economic value-added. We would note that it is not pre-ordained that cryptocurrencies will succeed as there are valid concerns about what economic value they really contribute. But in a time of rapid innovation, many new products will are often-and-errored. We believe the potential disruption from Blockchain cannot be ignored. The excitement of innovation typically also leads to price booms and then crashes among the early movers, before more realistic prices emerge among the eventual survivors. Much of this is what we see today with exponential price gains and losses, growth and diversity among cryptocurrencies. Given the amount of speculation in these markets, technical signals can be very useful in gauging market direction and they have been sending the right signals in recent months. 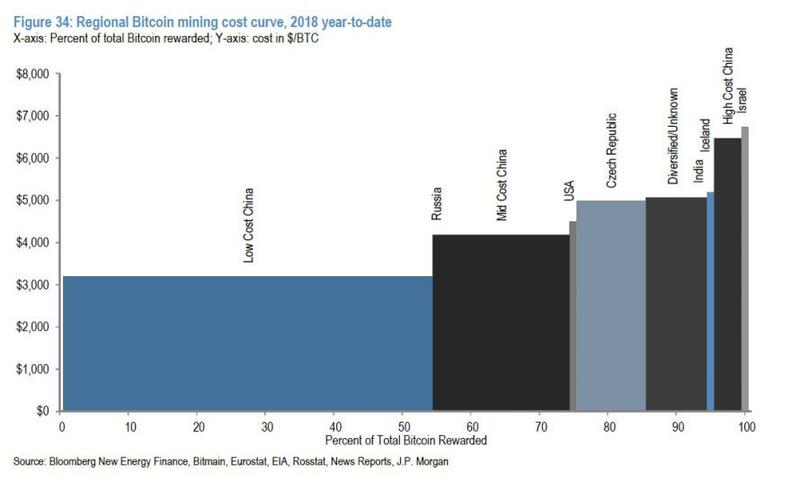 Fundamentals are a lot less informative here, although it can be useful to look at the cost of mining CCs, even as one must also account for the elasticity of supply. 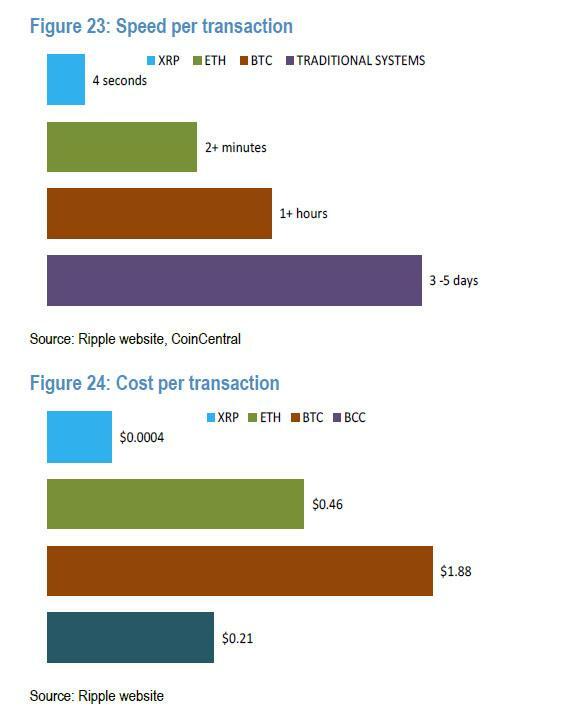 Cryptocurrencies are both a new technology — Blockchain — and a new currency (many new ones). The new shape and form of the CC market in the future will likely ultimately depend on what economic value they are perceived to add. We would expect the marketplace and regulators to ultimately weed out what are perceived the negative, less useful characteristics of CCs and retain the positive elements that add economic value. As discussed more in detail below, the Blockchain technology driving CCs offers transparency to transactions and allows them to be virtual and peer-to-peer. Distributed ledger technology has the potential to offer regulators greater degrees of transparency, higher levels of resiliency and shorter settlement times, reducing counterparty and market risk. Allen similarly discusses various efforts under way with, for example, a number of payment processing firms increasingly partnering with technology firms/Blockchain providers to offer an alternative settlement engine to various payment participants. We expect various Blockchain-based ecosystems to coexist and compete with each other (similar to Payments networks in the current environment), with success predicating on technology capabilities (such as API features), number of participants on the network and ease of adoption. Given the hurdles, CCs are more likely to be used as ancillary payment methods rather than gaining traction as a primary source of exchange. While seeing a potential for the deployment of the underlying Blockchain technology in payments, we do not see cryptocurrencies competing with central bank-issued money for lawful transactions. We note that CCs have not attained the relative stability of value to make them useful as money for everyday transactions. The current set of government-issued fiat currencies — such as the dollar and the euro — provide efficient media of exchange, stores of value and units of account. Some of the early buyers of CC were clearly dismayed by ballooning balance sheets of the major central banks in the aftermath of the global financial crisis (GFC), but the lack of any meaningful inflation since, in both developed markets (DM) and emerging markets (EM), has surely reduced concerns about fiat (legal tender issued by a central bank) money. In addition, we find that local legal tender money tends to be a natural monopoly with only extreme hyperinflation leading people to seek out a monetary alternative. To add, we do not find that CCs are currently meeting the standards of what constitutes money as the huge volatility of CC has made use of it as a unit of account impractical. Finally, given the huge returns from running a central bank (seigniorage), governments will be quite possessive of their legal tender role and will likely put up a fight if CCs were to gain broader traction domestically. Some EMs, such as Venezuela and Russia, appear to be considering issuing CCs as a way to improve international funding and evade US sanctions. Aziz is quite dubious about whether any of this will work as CCs face regulatory headwinds and are neither better than fiat money in establishing policy credibility nor in providing liquidity during crises. Several central banks, as discussed in Feroli, are investigating whether they should issue CCs in their own currency, but are very far from actually doing so, as any increased efficiency in payments technology does not appear to be that obvious. In addition, the issuance of crypto dollars, for example, would give non-banks access to the Fed balance sheet, and thus could endanger the economically and socially important financial intermediation function of commercial banks. base that they in turn lend out to the economy, after holding back a fraction as reserves at the central bank. If cryptocurrencies were seen as superior to bank deposits, prompting a wholesale shift into cryptocurrencies, then a much larger share of savings would go to the central bank's assets (government debt) and less to commercial banks loans, thus potentially dramatically increasing private credit risk premia and reducing the flow of credit to the private sector. Fractional reserve banking was a tremendous innovation that surely contributed greatly to global growth over the last two centuries, and we would expect that central banks would think twice before disturbing this source of capital to the private sector. We examine the potential role of CCs in terms of offering diversification in a global portfolio, given both their high returns over the past several years and their low correlation with the major asset classes, offsetting some of the cost of high volatility. If past returns, volatilities and correlations persist, CCs could potentially have a role in diversifying one’s global bond and equity portfolio. But in our view, that is a big if given the astronomic returns and volatilities of the past few years. 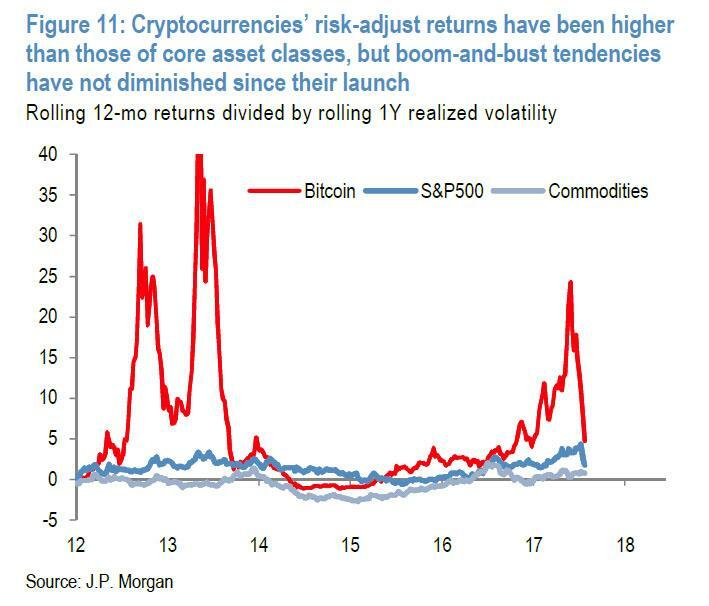 If CCs survive the next few years and remain part of the global market, then they will likely have exited their current speculative phase and would then have more normal returns, volatilities (both much lower) and correlations (more like that of other zero-return assets such as gold and JPY). Based on its historical performance, CCs can be 10 times more volatile than core assets like stocks, or than portfolio hedges, like commodities. Liquidity is also well below most other potential hedges. Extraordinary returns can be generated in the price discovery phase, only to be followed by several years of mean-reversion toward the eventual, long-term average level. In the current market conditions, we do not believe that an allocation to Cryptocurrencies as insurance should be a portfolio’s main or only hedge. Note that even though CCs have improved risk-adjusted returns over the past several years, they have not prevented portfolio drawdown during periods of acute market stress, like the equity flash crashes of August 2015 and February 2018. Cryptocorrelation with other asset classes: virtually nil, i.e., a perfect diversifier. 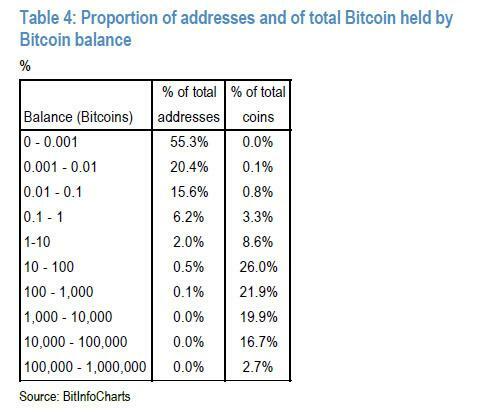 Cryptocurrency liquidity in the context of all other major asset classes. Current state of cryptocurrency regulation around the globe.